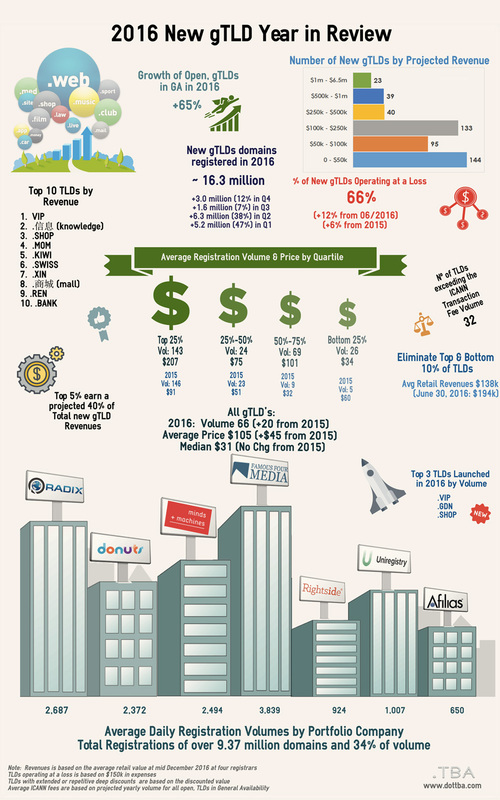 This post provides an overview of The 2016 New gTLD Year in Review infographic, reflecting on some of the intriguing highlights of the gTLD industry. – If significantly low registration pricing (less than $5) was employed on an extended or repetitive basis, the lowest price was used. This is a change from prior comparisons where the TLD was removed from the data set. Local Time: Friday, April 19, 2019 04:19 AM PDT – Page Load: 0.3276 Sec.